Data from Boughton Leigh Infant School is being used by academics at the University of Belfast as part of their research into how children learn to read and write. Our pupils follow the Read Write Inc. Phonics literacy programme developed by Ruth Miskin, which provides a structured and systematic approach to teaching literacy. It is used by more than a quarter of the UK's primary schools and is designed to create fluent readers, confident speakers and willing writers. A cross section of schools using the programme has been selected for the University of Belfast research. Details of pupils’ progress will be provided at the end of each term for the next two years. Boughton Leigh Infant School has many strategies in place to support and encourage pupils’ reading. 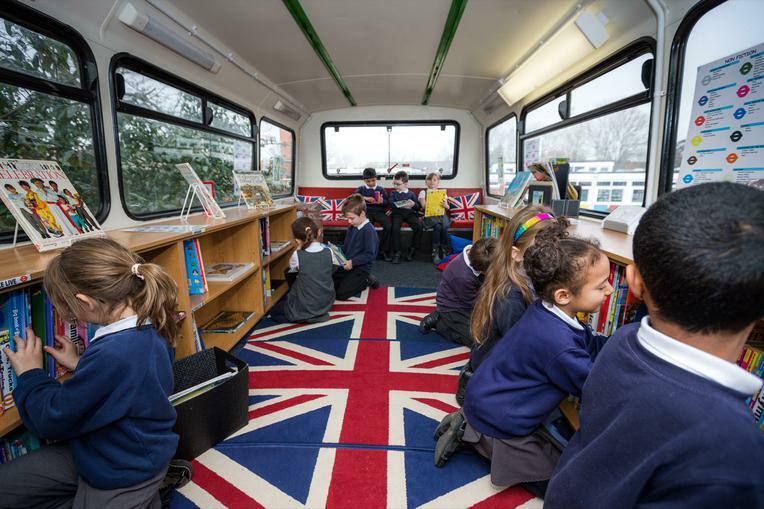 A converted London double decker bus is used as a school library and educationalists come from all over the UK and abroad to see it in action.